We love, love, love the Lotus Salt Bowl! 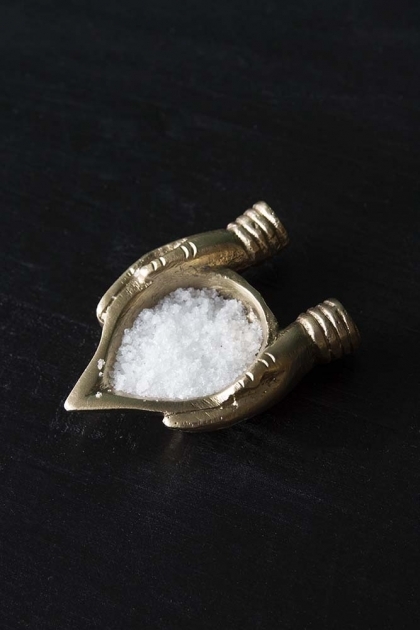 Perfectly petite, the miniature Lotus Salt Bowl may be small, but in our opinion, it’s the little details that end up being the most special things in the home. A gorgeous salt holder, add the Lotus Salt Bowl to your dinner table when entertaining guests to uplift your table design or alternatively use it as a jewellery holder for your favourite pair of stud earrings or rings. A great gift idea too, the gorgeous gold Lotus Salt Bowl is a special kitchen accessory that you’ll treasure.